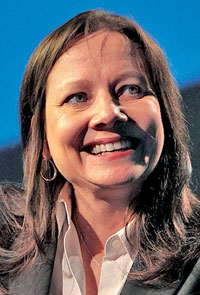 Mary Barra: Joins the Opel board. FRANKFURT -- General Motors Co.'s global product development chief Mary Barra will join the supervisory board of the automaker's Opel unit. Barra is the third top GM executive in as many months appointed to the board. She joins Steve Girsky, who is the Opel board chairman and also GM's vice chairman. Barra is in charge of vehicle design, engineering and quality for the U.S. carmaker. She replaces veteran GM executive Walter Borst on the Opel board. GM Chief Financial Officer Daniel Ammann and Timothy Lee, president of GM International Operations, were appointed to the Opel board in November. The four GM executives are tasked with developing a turnaround plan for the loss-making unit, together with Opel CEO Karl-Friedrich Stracke. At its meeting on Thursday, the board also elected Wolfgang Schaefer-Klug, Opel's top union official, as vice chairman. Schaefer-Klug succeeds former union chief Klaus Franz, who has retired. The changes take effect Feb.1, Opel said in a statement. "Both shareholder representatives and employee representatives on the supervisory board are in agreement that Opel has to become profitable, even in times of tough economic headwinds. The parties are jointly discussing the strategy and will keep employees and the public informed," the statement said.